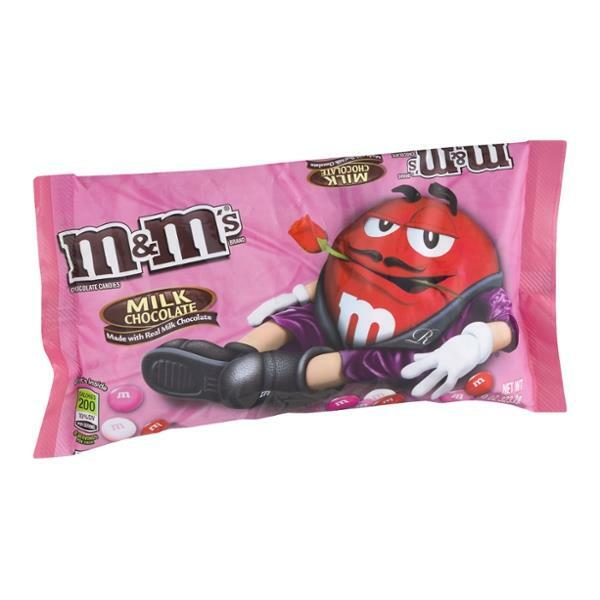 M&M's Brand Chocolate Candies. Milk chocolate. Made with real milk chocolate. What's inside: Calories 200, 10% DV, per serving. 8 servings per pack. Mars Real Chocolate. What's inside... per serving (about 8 servings per pack): Calories 200, 10% DV. Total fat 8g, 12% DV. Sat fat 5g, 25% DV. Sugars 27g. Sodium 30mg, 1% DV. GDA's are based on a 2,000 calorie diet. *No DV defined. "The milk chocolate melts in your mouth - not in your Hand". 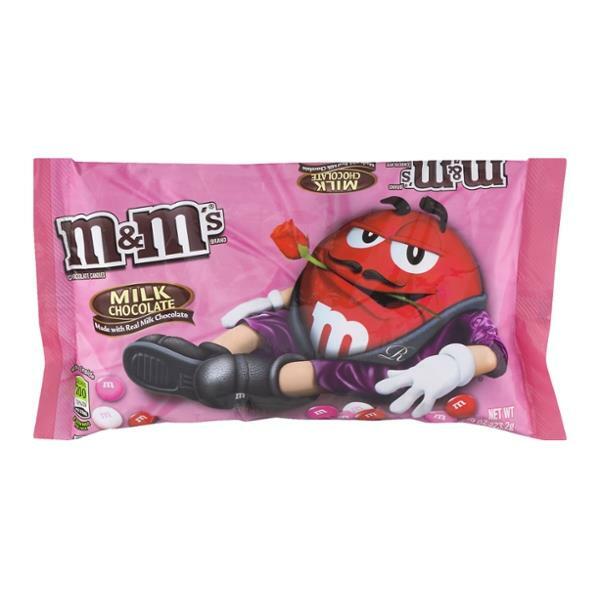 M&M's chocolate candies are made of the finest ingredients. This product should reach you in excellent condition. Satisfaction guaranteed or we will replace it. We value your questions or comments. Call 1-800-627-7852 M-F, 8:30AM to 5PM EST. Please save the unused product and the wrapper. For more holiday fun tips visit mms.com. To learn more visit www.marshealthyliving.com. /TM trademarks Mars, Incorporated. Milk Chocolate (Sugar, Chocolate, Skim Milk, Cocoa Butter, Lactose, Milkfat, Soy Lecithin, Salt, Artificial Flavors), Sugar, Cornstarch, less than 1% - Corn Syrup, Coloring (Includes Red 40, Blue 1, Yellow 6, Red 40 Lake, Blue 1 Lake, Yellow 5, Blue 2 Lake, Yellow 6 Lake, Yellow 5 Lake, Blue 2), Gum Acacia, Dextrin. Buy 2 get 1 FREE select Zoet bars. Must add 3 to cart. Valid if delivered or picked up by 4/30.